Villages are normally known for being very quiet, and small places where the atmosphere is rich and filled with interesting stories and history that is passed on from generation to generation. Sometimes, however, the history of the village comes back to haunt the new inhabitants of it… And when it happens it’s never really a good thing. In fact, some of these villages listed here are downright horrifying and we wouldn’t wish what happened to the inhabitants of them on anyone. From paranormal sightings to murders to everything else haunted and eery you can imagine or think up in your head, the hauntings that take place or have taken place in these villages are enough to give anyone the chills and make them never want to step foot in another village. These aren’t the kind of places you want to find yourself “hearing things” or “seeing things,” because what you think you’re hearing or seeing may actually be right in front of you and a real danger to your life. There’s a reason these 10 villages have made it onto our list and that is because of what happened in them. We have compiled 10 of the most horrifying haunted villages from around the world into one list that is almost guaranteed induce nightmares and creep you out at one point or another. Let us know what you think and what your honest opinion of these villages is and which one really freaked you out the most. 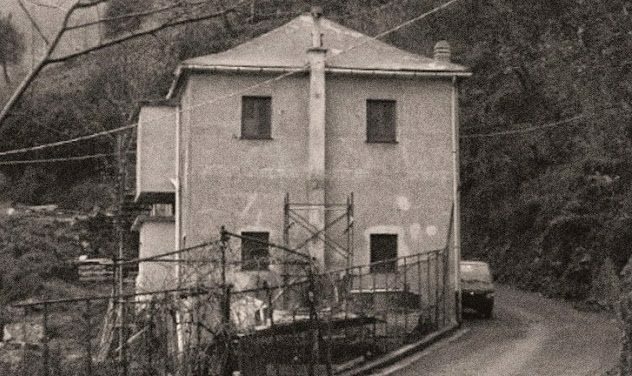 In the small village known as Voltri, which is located in Liguria stands an ominous-looking home that’s right next to a winding road. The house, Ca’delle Anime, was once an inn that was owned by a family that was suffering from mental problems. The family was known to drop very heavy pieces of furniture onto their sleeping patrons, which would then cause them to die a terrible death after being suffocated and crushed. They would then proceed to steal their deceased guests’ money and all of their other belongings before their bodies were added to the mass grave they’d constructed. It’s said that the victims’ spirits are restless because they are not allowed to leave the house they were killed in. They are thought to wander the rooms and halls of this horrifying house, dropping crockery and moving furniture to make sure their presence is known.